Science explained, “Immunotherapy marks an entirely different way of treating cancer — by targeting the immune system, not the tumor itself.” This model utilizes the idea that the immune system could target tumors, mirroring how it attacks infectious agents. When did this innovative breakthrough happen? Surprisingly, it is not a new development. In fact, its origins at Memorial Sloan-Kettering go back to the 1890s, when surgeon William Coley discovered that patients who experienced infections actually fared better than those who were “healthier” post-surgery. Based on this finding, he developed a bacteria cocktail that was injected into a patient’s tumors. Often this resulted in complete remission; however, this treatment was discontinued after some time. The second big discovery happened in the 1960s, when researcher Lloyd Old found that T cells (or T lymphocytes) can be trained to recognize cancer. This was made possible through his discovery of antibody receptors on the surface of cancer cells and the resulting cancer vaccines. However, a lot of work had to be done to bring these developments of the past to become Science’s breakthrough of the year. One of these was immunologist James Allison’s identification of the protein receptor CTLA-4, which prevents T cells from attacking the immune system. 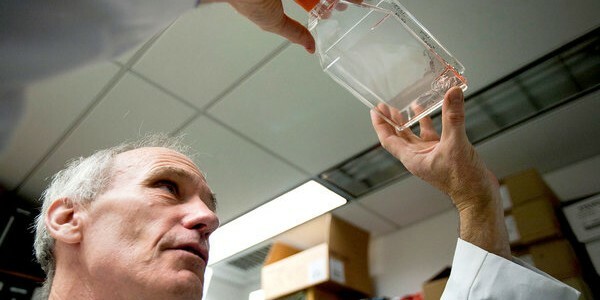 Subsequently, he proved that turning off the brakes placed on the T cells allowed these cells to destroy cancer in mice. Allison spent almost ten years at Memorial Sloan-Kettering; however, he now works at MD Anderson Cancer Center in Houston. Allison’s anti-CTLA-4 treatment evolved to become ipilimumab (YervoyTM), which is used against the deadliest form of skin cancer, metastatic melanoma. The drug was guided through development, from the first laboratory studies through the late-stage clinical trials in New York, by Dr. Allison and physician-scientist Jedd Wolchok, also from Memorial Sloan-Kettering. Fortunately, the drug’s first success was in treatment of leukemia, an often-deadly form of blood cancer. In March, Memorial Sloan-Kettering reported that the genetically modified T cells had effectively induced complete remissions in relapsed B cell acute lymphoblastic leukemia (ALL) patients. Now that this breakthrough has been made, it has opened the door for a multitude of studies at Memorial Sloan-Kettering seeking to develop further immune-based cancer treatments. For instance, Immunology Program Chair Alexander Rudensky is studying a subset of T lymphocytes called “regulatory T cells.” These cells are essential in keeping other white blood cells in check, which means they play an essential role in the immune system. The research being done at Memorial Sloan-Kettering is very promising for cancer patients everywhere. This breakthrough that was honored by Science magazine will likely save many lives to come.